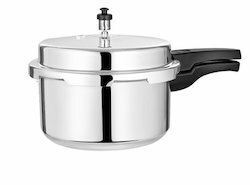 Manufacturer of a wide range of products which include kyyte 3 litre pressure cooker, kyyte 5 ltr pressure cooker and combo pack of 3 2 litre, 5 3 litre pressure cooker. 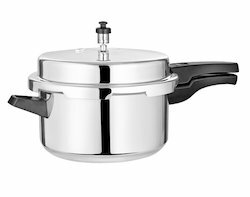 Backed by our years of industry experience, we are betrothed in presenting an excellent quality of Kyyte 3 Litre Pressure Cooker. This cooker is coated with aluminium finish on the outer and inner side of the cooker. This cooker is manufactured using aluminium metal. The best feature about the cooker it will never get rusted. Moreover, our professionals opt for strict quality tests to ensure the high durability of the cooker. With an aim to fulfill varied requirements of our valued clients, we are engaged in offering Kyyte 5 Ltr Pressure Cooker. This cooker is equipped to cook mughlai dishes, handi biryani, gosht, and other delicious vegetarian and non-vegetarian dishes. This cooker finds application use in eateries, restaurants, parties and hotels. Moreover, the cooker is manufactured using aluminium metal and modem technology. We are one of the noteworthy enterprises engaged in offering superior quality Combo Pack Of 3 2 Litre, 5 3 Litre Pressure Cooker. This cooker is used in houses, hotels and guest houses. The offered cooker is coated with aluminium on the outer and inner side of the cooker. At our manufacturing unit, our engineers have developed the cooker adhering to international industry standards and using quality and approved material. Besides, clients can get the cooker from us at cost effective prices. 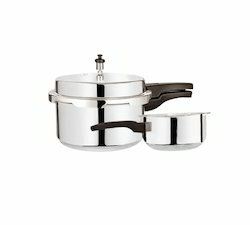 Looking for “Kyyte ISI Pressure Cooker”?